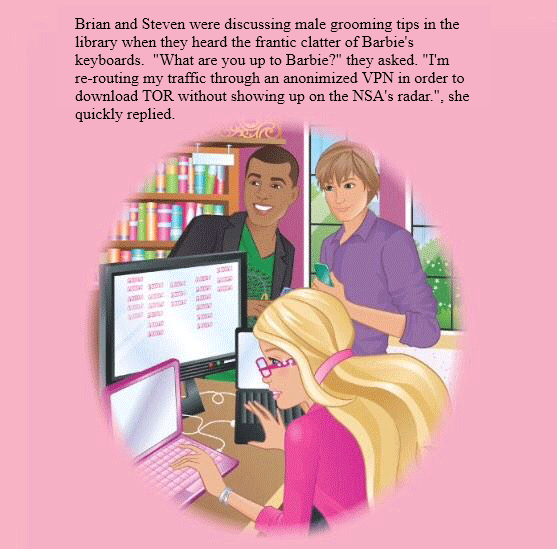 Brian and Steven were discussing male grooming tips in the library when they heard the frantic clatter of Barbie's keyboards. "What are you up to Barbie?" they asked. "I'm re-routing my traffic through an anonimized VPN in order to download TOR without showing up on the NSA's radar. ", she quickly replied.